I love Florida. It is one of our most interesting states we have and one of five (New York, New Jersey, Texas, and California) plus the Free Associated State of Puerto Rico, that constitute America's principal bridges to Latin America and the Caribbean. It is a beautiful state with wonderful attractions and a cultural diversity that draws our entire country and the world to come and visit. It is one of our true multilingual states. I have many friends and relatives who live in Florida. Some of its neighborhoods can even be mistaken culturally for being parts of many other countries, and in particular, Cuba. Sometimes Florida even forgets that it is actually part of the United States, especially when it comes to Cuba. And this is where things get disconnected from time to time. Last week, Governor Rick Scott (R-Fl), signed Florida House Bill 959 into law*. With that action, he received a personal lesson in the warped politics of the hardline and hypocrisy. This law is likely to be declared unconstitutional by any Federal judge who has a basic understanding of the Constitutional principle that no state can have a separate foreign policy that extends beyond the Federal government. Gov Scott even knew this when he signed the letter of enactment. With much fanfare, he essentially pandered to the obsessions of the hardline Cuban American politicians who also have forgotten the U.S. Constitution and who actually is responsible for U.S. foreign policy, the Federal government. Even the pro-embargo Congressional defenders prodded him onwards - relying on misguided notions that this legislation is: 1) somehow important for our national security because Cuba is still, irrationally and erroneously, on the State Sponsor of Terror List (Cuba may be many things but promoting terrorism? Sorry, no Cohiba there). and 2) It will promote democracy. Oh really? How well have sanctions and the embargo worked in promoting democracy in Cuba in more than fifty years? The hypocrisy only gets murkier. Ask any one of these "pro-democracy, pro national security" politicians how much does China bankroll the State of Florida and the entire U.S. economy? China is not a democratic nation as we would like it to be. However, we gladly accept their goods and their extension of credit to us. Gas up your car recently? How much is that oil coming from our middle east ally, Saudi Arabia, a nation ruled by an absolute monarchy and where women do not have the right to vote or even drive a car? Let's not forget where many of the individuals who attacked our country in the name of terror came from too. So why isn't Florida stopping all business with China and Saudi Arabia if these political leaders really believe in "national security and democracy"? Both elected members of Congress and Florida state legislators threw out Constitutional principles by supporting this legally flawed measure and creating a public relations spectacle. Where was the political leadership that says there is a difference between passion and obsession? Where was the intellectual honesty that this measure is just flash and actually achieves nothing? As was pointed out correctly in the Miami Herald by Andres Oppenheimer on May 2nd, Florida's law against Cuba, if enforced, actually helps Cuba. ** Where is the understanding that exaggeration and hyperbole become comical in the face of hypocrisy? 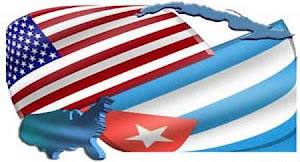 And where is the knowledge revealed that when relations between the United States and Cuba are finally normalized, the greatest social and economic beneficiary of that reality will be the State of Florida? Arrogance and ignorance continue their work hand in hand once more. To whose benefit? C'mon Florida, this is what you are getting for your tax dollars and your votes in the middle of the worst economic crisis since the Great Depression? Stay tuned - it is only a matter of time before we will be reading that a Federal Judge says something like this: "this matter and application for a permanent injunction and restraining order from further enforcement of s. 3 287.135, F.S. as amended July 1, 2012, by the State of Florida is herein granted...The statute is found to be in violation of the U.S. Constitution...Members of a State legislature can pass resolutions and recommendations to the President of the United States and the U.S. Congress on matters of U.S. foreign policy. However, state statutory schemes that conduct a foreign policy that is contrary to, or exceeds the authority of the federal government and the Executive Branch, are inherently unconstitutional...The Court reminds State Governors and State Legislators to respect the bounds of their legitimate authority..." SO ORDERED: Hon. I FollowThe US Constitution, United States District Judge..."
As predicted, Odebrecht filed a lawsuit challenging the constitutionality of the Florida House Bill 959. We believe the law will be declared unconstitutional for reasons already discussed. It is unfortunate the Florida taxpayer will be footing the bill defending another stupid law which should have never been enacted in the first place. Even more poetic, the lead counsel for Odebrecht is Raoul Cantero, former Florida Supreme Court Justice, and the grandson of the late Cuban dictator, Fulgencio Batista...May the U.S. Constitution prevail.